Questions Left Hanging After New Right to Dry Law - Peters & Freedman, L.L.P. By Laurie F. Masotto, Esq. 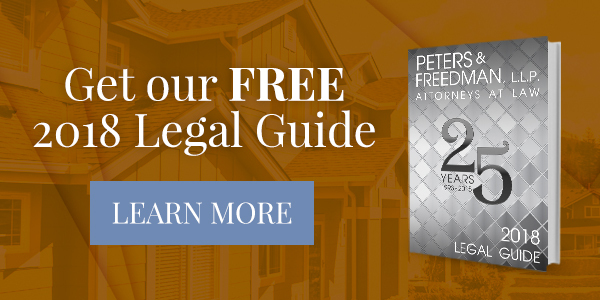 of Peters & Freedman L.L.P. In a continuing effort by the California legislature to promote and encourage energy-savings measures, a new law has been adopted which prevents homeowners associations from prohibiting or unreasonably restricting the use of clotheslines in certain circumstances to air dry laundry. For some, this new law may bring back memories of pioneers who hung their clothes to dry on a line tied between two trees using wooden clothing pins, alongside a skinned rabbit. As society developed, clotheslines became associated with poorly kept property, or gave“character” to small villages in foreign countries. California is hoping to change that image. The new “right to dry” law, while clearly stated and subject to some limitations, leaves some questions up in the air. Under AB 1448, which adds Civil Code Section 4750.10 to the Davis-Stirling Act, governing document provisions which effectively “prohibit” or “unreasonably restrict” the ability to use a clothesline or drying rack in the backyard are void and unenforceable. California Civil Code Section 4750.10 now defines a clothesline / drying rack to include a cord, rope or wire from which laundered items may be hung to dry or air. A balcony, railing, awning or other part of a “structure or building” does NOT qualify as a clothesline or drying rack. (Section 4750.10(a) and (b)). It is likely that “building or structure” will be interpreted to extend to other items such as fences, walls, gates, patio covers/trellises, etc. For those items which do not fall within the definitions, the Board should fill the gaps with properly adopted rules. For instance, a rule might restrict or prohibit drying or airing of items on chairs or couches located on the balcony or patio. Other rules might encourage residents to install clotheslines in the least visible location possible. While the Board is not prevented from addressing items which are not specified in this law, the Board should carefully consider whether and in what manner to expand or contract the “right to dry” to other non-protected areas or devices with an eye towards protecting aesthetics and property values. Working with legal counsel is paramount in addressing this new law. California Civil Code Section 4750.10 only protects clotheslines or drying racks in “backyards that are designated for the exclusive use of the owner.” (Section 4750.10(d)(3)). The basis for limiting use to this location is to protect aesthetics from the perspective of the common area and front yards. The legislative history in fact reflects an initial discussion of using the word “yard” which then was changed to “backyard”. However, in some communities, what is normally thought of as the “backyard” may be more readily visible and have a greater impact on value and appearance. For instance, in many golf course communities, backyards have “frontage” along the golf course. Certain homes may have patios/courtyards on the “side” of the house which are used essentially as the “backyard”. Further, some homes are positioned on a corner with the backyard being primarily visible from the common area street. The important part of developing rules in these situations is to work with legal counsel to determine how best to interpret the term“backyard” based on what appears to be the Legislative intent to permit associations some manner of aesthetic control. The legislature expressly gives each board of an association the right to adopt “reasonable rules” and “reasonable restrictions” governing clotheslines and drying racks. Arguably, therefore, each community can take into account the unique design, layout and/or location of the homes when determining “reasonable” rules and restrictions. As long as a rule or restriction does not “significantly increase the cost,” and the community can assert a reasonable basis for limiting or dictating the time, place and manner of installation consistent with the terms of the new law, the better chance the rule will be upheld if challenged. While every community is different, these rules may be considered “reasonable restrictions”: (1) architectural approval required for permanent clotheslines or drying racks, as with other exterior changes; (2) set backs requiring installation a number of feet away from adjacent properties; (3) limiting color, material, height, size/scale in proportion to surrounding improvements; (4) preventing attachment or fastening to Association-maintained walls/stucco/wood or other portions of the building to protect waterproofing (this is analogous to satellite dish rules which have been upheld where limited to free-standing devices not attached to a condominium building); (5) possibly requiring the clothes/items be removed within a certain period of time (i.e. when dry or 24 hours, whichever is less) and (6) restricting display of personal or private wear (undergarments). As the statute is applied and interpreted over time, some of these thoughts and rules could be simply “blowing in the wind,” or questions may be resolved with future cases and/or amendments. In the meantime, your association may want to get ahead of the issue by consulting your legal counsel prior to imposing rules or amending any CC&R provisions as to these items.